A healthy and tasty alternative to traditional salt. Smart Salt® meets the enormous consumer demand for lower sodium foods with health benefits that make traditional table salt a thing of the past. Smart Salt®’s unique, patented formula provides the great taste of ordinary table salt with added health benefits. Not only is it the best tasting salt substitute, but it retains the preservation and texture qualities of traditional table salt. This makes Smart Salt® the best choice for consumers, restaurants and large scale food processors. Smart Salt® was developed to reduce sodium intake while providing the same great taste of salt. Everyday millions of people worldwide consume excessive amounts of sodium hidden in processed foods. Surveys indicate that consumers cite salt content as one of the top factors of concern in the foods they eat. Salt reduction is always in the news as experts condemn the poor progress of the food and catering industry to reduce sodium – but help is at hand. 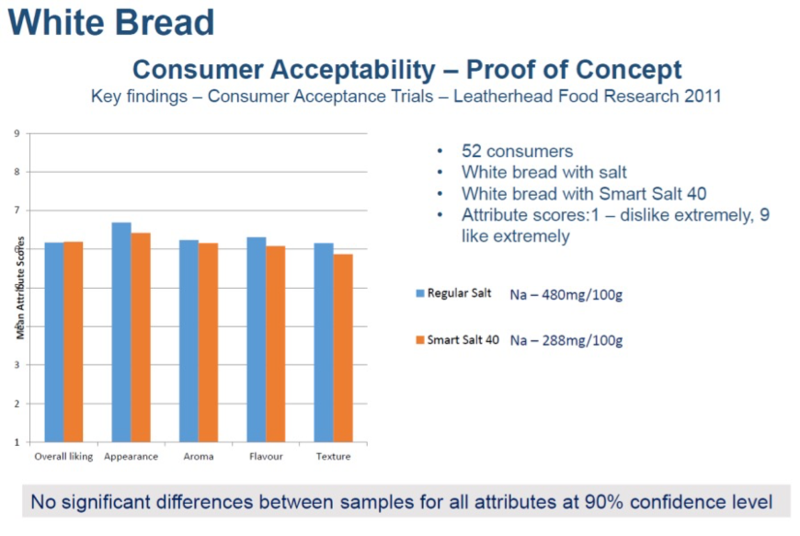 Smart Salt® can eliminate up to 60% of the sodium found in typical table salt. This is a major breakthrough for low-sodium recipes and diets. Smart Salt® is the new healthier salt for the millions of consumers worried about their salt intake. Smart Salt® health benefits go further than just reducing sodium. Smart Salt® formulations include two essential minerals – potassium and magnesium. While a large proportion of the developed world consumes excess sodium, they are simultaneously not getting enough potassium and magnesium in their diets. Smart Salt® delivers the essential minerals potassium and magnesium, helping to balance important minerals for heart health. Smart Salt® looks and functions just like salt. Smart Salt® has a proven track record in the catering and restaurant trade as an alternative to table salt. It’s ideal for front – and back – of house seasoning. Proprietary blends of Smart Salt® are available for use in table top, sachets and catering packs. Smart Salt® is a flexible sodium reduction technology which means that there is flexibility with its composition resulting in improved cost-efficiency in use. Governmental sodium targets can be met while minimising cost issues associated with salt reduction. Smart Salt® technology has undergone extensive industrial application research and commercial-scale manufacturing. It is particularly successful in the more difficult applications that rely on preservation and textural characteristics of salt such as bread, meat and cheese – the major contributors to sodium in the diet.